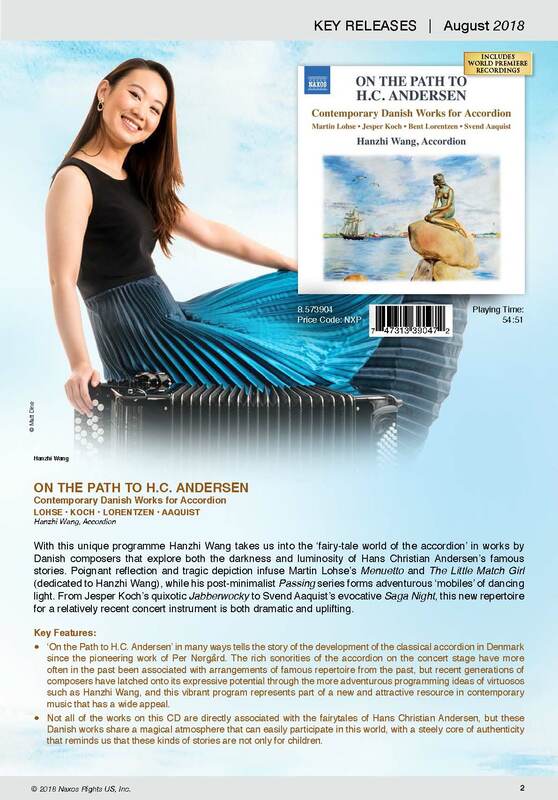 Naxos Key Releases Hanzhi Wang CD "On the Path to H.C. Andersen"
On August 10, 2018, Naxos released Hanzhi Wang's accordion solo album "On the Path to H.C. Andersen". 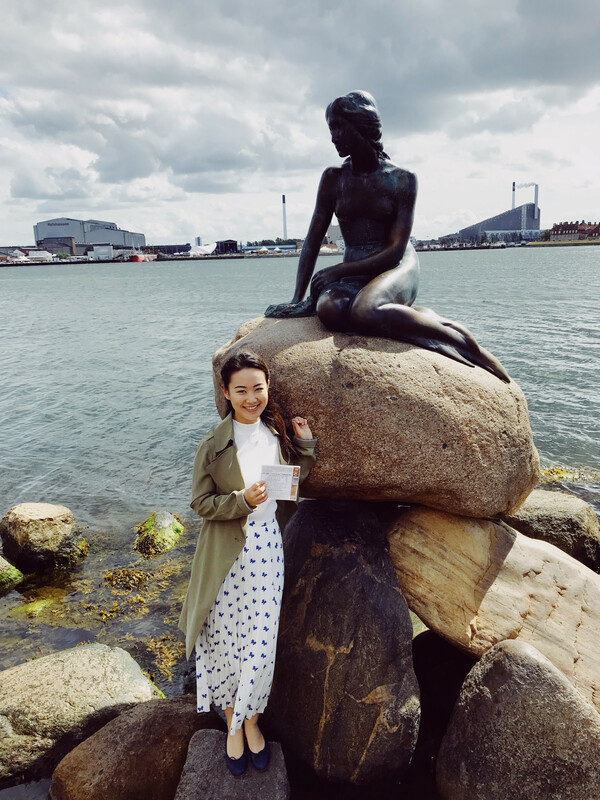 With this unique programme Hanzhi Wang takes us into the ‘fairy-tale world of the accordion’ in works by Danish composers that explore both the darkness and luminosity of Hans Christian Andersen’s famous stories. Poignant reflection and tragic depiction infuse Martin Lohse’s Menuetto and The Little Match Girl (dedicated to Hanzhi Wang), while his post-minimalist Passing series forms adventurous ‘mobiles’ of dancing light. From Jesper Koch’s quixotic Jabberwocky to Svend Aaquist's evocative Saga Night, this new repertoire for a relatively recent concert instrument is both dramatic and uplifting. 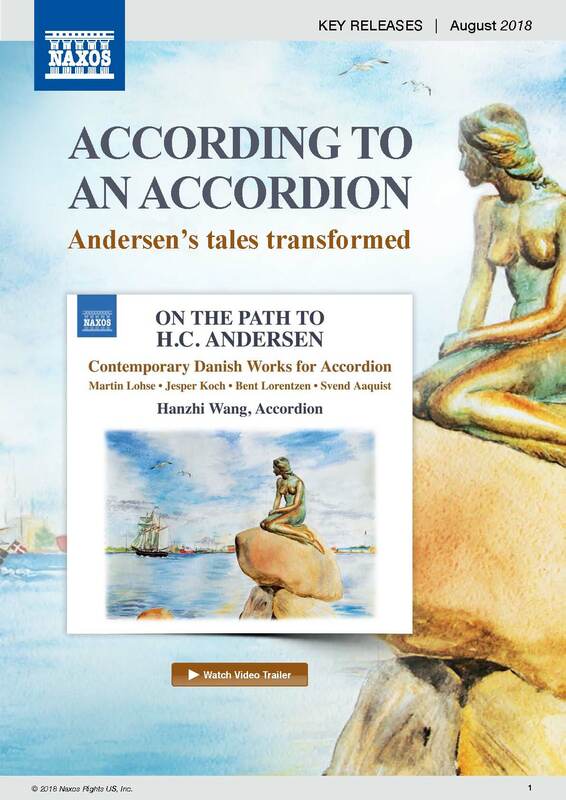 As Naxos continues to explore every facet of classical music, this new release has works inspired by the stories of Hans Christian Andersen and written for Accordion. If that may sound bizarre, you will be surprised when you hear the first few minutes of the disc that could well have come from a Baroque organ, and will convince you that the instrument has many attractions, not least a wide-dynamic range and a spectrum of subtle shades. I recall my distress that reading Andersen's The Little Match Girl brought about as a child, and I vowed never to read another word that he wrote, a decree that persists to this day. So with that in-built backdrop of dislike for the subjects on this disc, what about the hugely gifted performer, Hanzhi Wang? I suppose it is perfectly in accord with the stories, and my favourite, divested of Andersen, is the technical excellence required for the three movements of Passing, her finger dexterity of prodigious virtuosity. The delicate colours that can be achieved from the instrument comes in the central part of Menuetto, all of the first part of the disc written by the Danish-born composer, Martin Lohse, and completed in the past six years. Born in 1967 Jesper Koch has offered the instrument a number of works, while we go back to a familiar name with the octogenarian, Bent Lorentzen, for his emotional Tears. Finally Saga Night from Svend Aaquist is an extended musical picture of the moods that Andersen created. 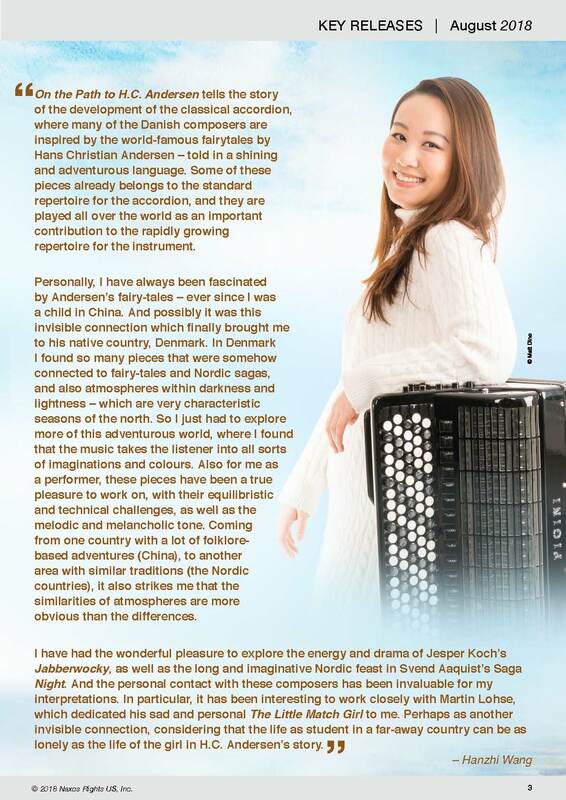 The Accordion is a new experience for me, and I guess probably to the reader, but I greatly enjoyed it. So forget Andersen, and enjoy Wang.